The Polaris ValuSmart window is the company's entry level vinyl series that has a .070" wall thickness, which is pretty much middle of the pack in terms of vinyl windows. Standard features on the ValuSmart Series include a beveled & fusion welded frame, decent sash corners, a true position balance system, recessed tilt latches, sash locks, double weather stripping, tilt in sash on the hung styles, a sloped sill and a fiberglass half screen. While the list of features does sound rather impressive, this isn't a vinyl window I'd recommend for most homeowners, unless you are on a serious budget. The other Polaris models, either the Polaris ThermalWeld or the UltraWeld, are much better in terms of their overall durability and performance. Having said that, when you compare the ValuSmart to other manufacturer's entry level vinyl windows, it is better than most. The Polaris ValuSmart should run $25 to $35 for the window itself. Compare to the Simonton ProFinish Contractor window and the Anlin Monte Verde. The Polaris ValuSmart is not going to offer overly impressive numbers. 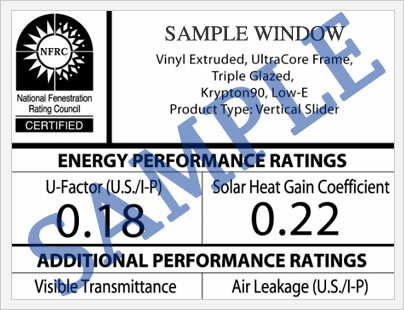 Consumers can expect to get a .33 to .26 on U-factor (depending on the glass and fills), .028 SHGC and .06 on the air infiltration - this AI number is not bad for an entry level window. By no means bad performance numbers for an entry level window, but in terms of long term value I would prefer the upgraded Polaris models such as the Polaris UltraWeld. The Polaris ValuSmart offers a lifetime warranty on the mainframe and sash. The company offers 30 years on the insulated glass unit. The company does not cover damage such as accidental glass breakage or screen damage. 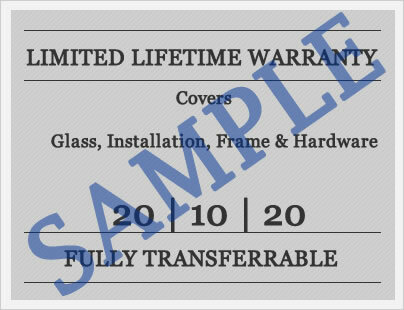 Although the online warranty does not mention whether or not it is transferrable or not, I believe the company does allow the warranty to be transferred one time and the subsequent owner then is covered for a period of 30 years from when the windows were first purchased. I would definitely read the warranty in full before you buy. Have Polaris ValuSmart windows reviews to add to our website? These can be instrumental in helping homeowners just like you to find the perfect window at the perfect price point. Submit your reviews here. Do you have questions about the Polaris ValuSmart? Our editors, John and Jim, can answer most of the questions that you may have about this entry level vinyl window. Please include your email so we can make sure to get back to you with the answer.